Do you spring clean your home every year? It certainly helps to get the ground in dirt, toxins and crud out of the carpets, furniture, curtains and bedding and freshen up our living space. It makes me feel better living in a clean house and perks me up after a long sluggish winter. 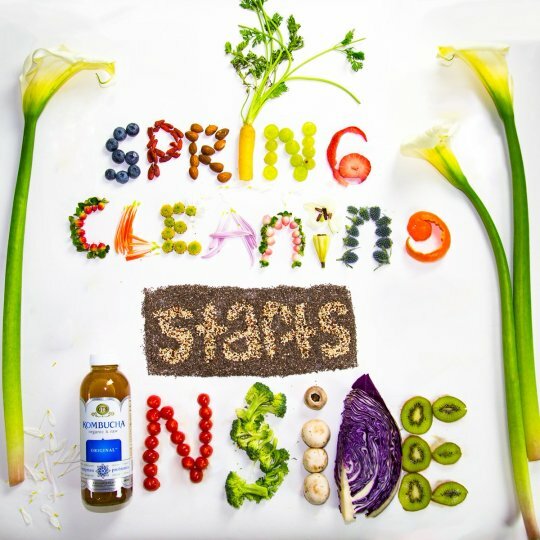 Wouldn’t it make sense to spring clean your body as well? Toxins and pollutants have a tendency to build up in our bodies just like in our homes. Many people don’t think about the importance of tissue and liver cleansing on a regular basis. Our liver has many important metabolic functions. It converts the nutrients in our diets into substances that the body can use, then stores these substances and supplies our cells with them when they are needed. It also takes up toxic substances and converts them into harmless substances or sends them to our kidneys for more processing. Our liver helps break down fats to produce energy and helps to keep blood sugar balanced. When the liver is working at its best, it works quietly and efficiently behind the scenes. Most of us take it for granted; that is until we start feeling really ill or start putting on weight that we can’t seem to get rid of. Our modern world and our busy lifestyles contain a lot of things that can stress our liver. Over processed food and casually popped pills are staples in most American households. Our liver is responsible for filtering and processing all of this junk. Unlike sore muscles, the liver won’t yell loudly when it’s overstressed. Instead, the damage is cumulative and shows itself in fairly significant ways if you know what to look for. Chinese medicine recognizes the congestion of the liver as a reason for many ailments. This is not something that modern medicine is set up to detect or address. If any of these things apply to you, it is time to consider a liver cleanse to help your body cleanse and detoxify. The 15-day Tiao He Cleanse is my number 1 go-to liver cleanse program. All you have to do is take 2 packets a day and adjust your diet for maximum benefit. I recommend drinking at least ½ your wt. in ounces of water per day, limit meat to 1 meal a day and really bulk up on the fresh veggies and fruit for maximum results. Tiao He Cleanse is a best seller at NSP and it will give your body what it needs to jump-start your healing process and cleanse multiple systems. I personally do the Tiao He Cleanse twice a year; Spring and Fall. In between times I like the Cleanstart Wildberry for a good colon and cellular cleanse. Contact us for more details about the products mentioned above or a personalized recommendation on the right supplements for you.